Recently we compiled the giving histories of 65,000 active alumni from over a dozen independent schools. Turns out, nearly 38,000 of them have given to their alma mater. Unfortunately, only 20% of them gave in the past year. The rest were lapsed. How much money was at stake? 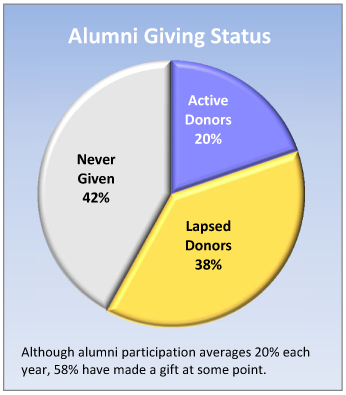 If you were to take the last annual gift of all lapsed alumni, it would be 55% of the money raised by active alumni donors. In other words, if your alumni generated $500,000 last year, your lapsed donors were worth an additional $275,000 that you did not receive. The good news? Most schools do a good job retaining their most valuable alumni. 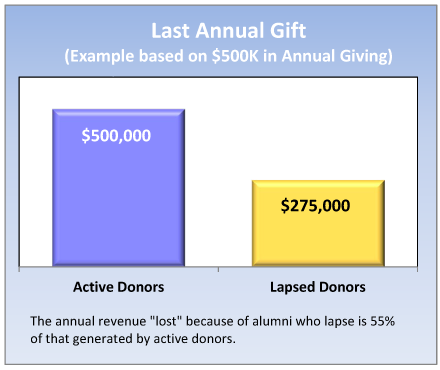 However, there remains a big opportunity to increase alumni participation and revenue by recapturing lapsed donors. These are alums that you have already convinced to give to your school at least once. But for some reason, they haven’t gotten in the habit of giving year after year. 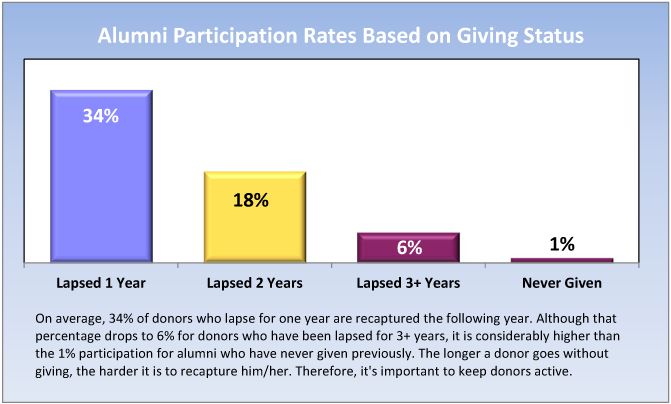 Of alumni lapsed donors who had not given in the previous three years, 6% were recaptured. While that percentage may seem low, it’s considerably higher than the 1% response from alumni who have never given to the school. Based on these results, if you were to solicit all of your alumni who have been lapsed for three-plus years, you could expect an average of $16 from each one (even though only 6% actually responded). When you consider that it might only cost an additional $5-$6 per year to include these alumni in a series of multiple appeals, that’s about a 200% return on investment! What’s more, of the lapsed donors who were recaptured after not giving for three-plus years, 35% gave again the following year – and upgraded their giving by an average of 10%. Of course, recapturing lapsed alumni donors requires effort and persistence. And many development offices don’t have the time or the budget to effectively pursue this opportunity. 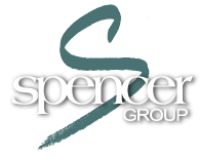 If that’s the case, we invite you to contact us to learn how Spencer Group provides affordable resources and successful strategies to help recapture more lapsed alumni donors.